With the addition of the popular Green Cone Composting System, we now carry a line of 4 top quality composters including the Sunmar Continuous Composter Line, the Tumbleweed Composter, and the educational RolyPig Composter. 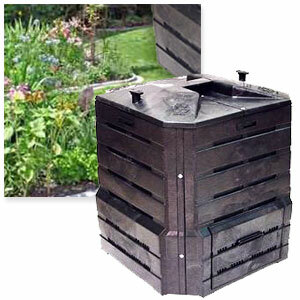 The SoilSaver makes it easy to turn yard waste and food scraps into compost - black gold for your garden. 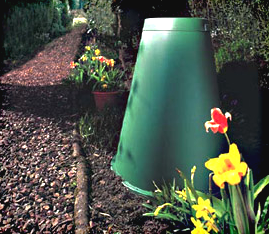 The Soilsaver compost bin's award-winning classic design has been in production for more than 25 years! Watering holes in the lid keeps compost moist and healthy. 1/4" inch of natural insulating structural foam molding extends your composting throughout the long slumber of winter months. Soil Saver is packaged in one box for easy transporting in customer’s vehicle, shipping, and storage. 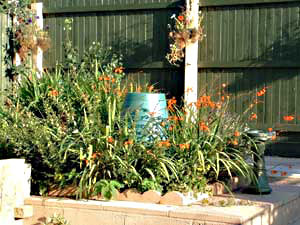 Box can be composted (Box Size: 23”W x 8”D x 30”H).